Help keep the stumpjack off the endangered species list. 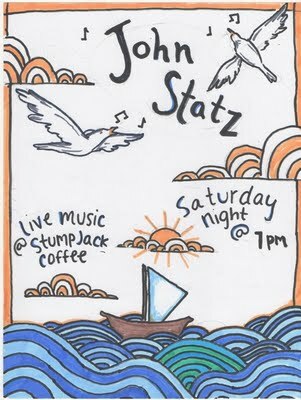 Tonight at 7:00, via Madison, Wisconsin: John Statz will be performing at Stumpjack. Check out John's sound at his myspace site here. This will be John's first gig at the Stump and we are really glad and anxious to see him tonight. 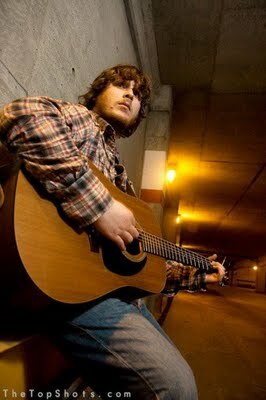 Listen to some of his music at the link above and you'll see why...he has something special, a sound that hints at Ben Harper, Tom Petty, John Prine, Phil Ochs, a little country, a little rock, a little folk. He's got a great voice, and a sincerity to his music that is warming to the heart. 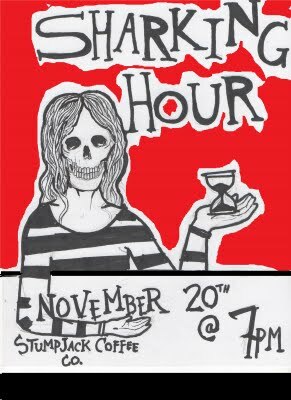 Go here to read the very fine article in yesterday's paper about The Sharking Hour performing tonight at the Stump. Listen to them at their myspace site here. We are closing shop from 3:00 to around 5:30 or 6:00 this afternoon. Sharking Hour tonight at 7pm. Be here or have horrible nightmares tonight...it's a voodoo hex sort of thing. 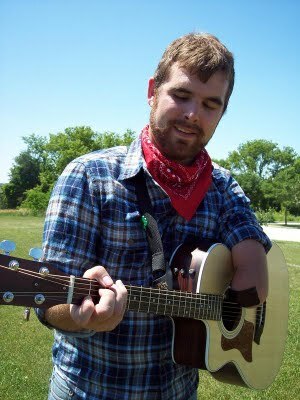 Tonight at Stumpjack: Tony Memmel. For those of you who don't know, Tony is a wonderful musician who has only a partial left arm - his lower arm is not there. And yet he plays guitar quite proficiently...just listening to Tony play you'd never know that it's even a challenge for him. That's how amazing he is. He's a passionate and exuberant artist, a darn nice guy, and puts on a show that is not to be missed. 7:00pm tonight. 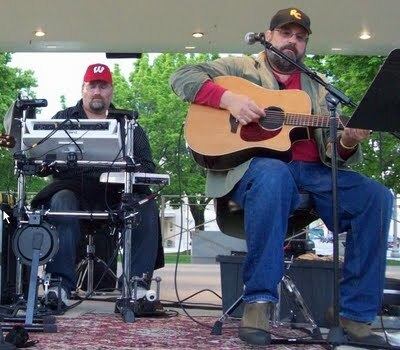 Tonight at the Stump: Michael "Doc" Retzinger and Mark "The Machine" Kimmes will be bringing the deep cut vibe. These guys put out an exceptionally sweet sound. 7pm. General Patton directs a subordinate to fetch him a bowl of Stumpjack Butternut Sage & Stout soup. 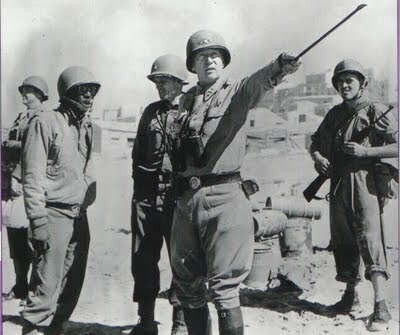 Patton then slaps the returning soldier for forgetting the accompanying chunk of bread. My wife and I were in your fine establishment yesterday while passing through Two Rivers on our way to Door County. We usually visit Door County at least once or twice each year and often pass through Two Rivers on our way. We had noticed your coffee shop when passing through this past July but did not stop at that time, although we made a mental note to do so on our next trip, which we did yesterday. I must tell you that we are both very glad we did. We had intended to simply pick up a couple cups of coffee for the drive, but after looking at your menu board decided to try lunch at your place rather than in Sturgeon Bay as we often do on this trip. Are we ever glad we did. I had a bowl of your butternut and beer soup and we shared one of your artisan pizzas, the vegetable and parmesan I believe it was. I must tell you that both the soup and the pizza were the best that either of us had ever had. Both were memorably flavorful and exceptionally fresh. I do not know what, if any, culinary training the cook may have, but he or she clearly knows how to create a high quality dish. We live in Chicago, where there are more outstanding places to eat than anywhere else in the Midwest. We are also travelers and have spent time in every major city in the U.S. As you might imagine, we have eaten at many excellent restaurants. The small pizza we had at your restaurant was better than any pizza we've had, bearing in mind that we come from Chicago, where they take their pizza seriously. The soup was also head and shoulders above any creamed soup I personally have ever had in any of the finest restaurants we've enjoyed. The service was just as excellent. The woman who waited on us - your wife as I recall? - was friendly and most attentive, and your good humor during our brief conversation was a welcome addition. Hope you don't mind the lengthy message. We are on one of our little vacations and we try to make a point to give praise where praise is due when traveling. It is part of the experience, after all. We wish you success and longevity in your business and will be sure to tell our friends to visit Stumpjack on their way through Two Rivers from now on. 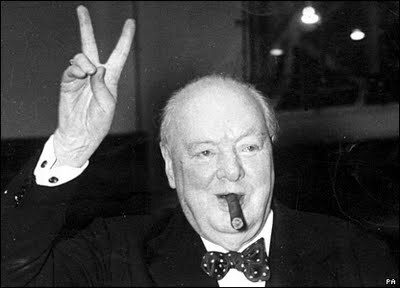 Winston Churchill upon walking into Stumpjack immediately orders two artisan pizzas.